The impact of taking a week or more of call per month, particularly if not offset by compensation, seems increasingly detrimental to all practices, but especially true for those practicing in solo practice or small groups. While there has been a significant shift to outpatient locations for much of the scope of otolaryngology, many hospitals and institutions still require provision of emergency services as a requirement of medical staff membership. As part of the Board of Governors’ (BOG) mission to identify and communicate issues for and with Academy Members, a survey was disseminated to BOG society members on the impact of emergency room (ER) call. The BOG hoped to gather data to identify any issues or concerns, and allow Members to compare their situations with their peers. We had a record response rate of 677 participants from across the nation. The results of the survey highlight several challenges and areas of concern. 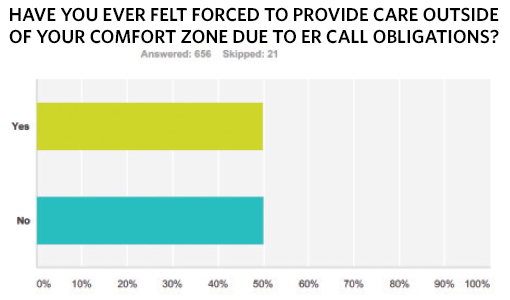 The majority (almost 90 percent) are required to take ER call for non-practice patients. This requirement is typically specified by either hospital bylaws or department rules and regulations, although almost 20 percent were required to take call by their employer or group. Despite the broad call requirement, two-thirds of respondents are not compensated for this service or the costs they incur. These costs include follow-up care, not only the cost of un- or undercompensated care, but also the direct and indirect costs incurred from no show or cancelled appointments, bumping of existing patients, and administrative costs of contact, follow-up, and insurance authorization. Of those respondents who were compensated, 46 percent were paid with a per diem rate, and 20 percent were paid through a weekly, monthly, or yearly stipend. 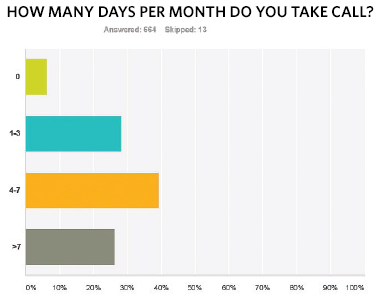 Almost one-third of respondents commented on their personal arrangements, with reimbursement ranging from a low hourly rate to a daily rate, with most reporting to be in the middle of that range. 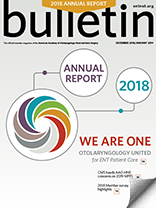 Unlike some specialties, otolaryngologists have not widely negotiated successful, significant on-call compensation, and unfortunately, there is little specialty-specific information available. 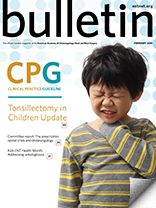 There are two proprietary surveys published, but these surveys contain limited otolaryngology-specific data, thus making it difficult to evaluate and negotiate appropriate call compensation. We originally hoped to collect more specific information on this topic via this survey, but due to antitrust concerns, this was not possible. The data and responses gathered in this survey clearly highlight the need for more accurate and complete information on this topic. Our results also seem to indicate that institutions craft their transfer policies to minimize possible Emergency Medical Treatment and Labor Act (EMTALA) violations. However, there are concerns that this fails to consider variations in physician expertise, credentialing, and scope of practice. 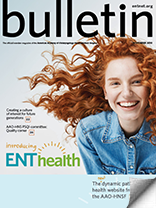 Sixty percent of respondents reported that their hospitals accept EMTALA transfers without consulting or notifying the on-call otolaryngologist, which may result in acceptance of transfers without the input of the call physician who will provide the care. This potentially may lead to clinicians faced with situations outside their expertise and comfort zone, or worse, a request to consult where they do not have the necessary privileges or credentialing. And, in this situation, almost 70 percent of respondents reported that their institution did not back them up when they expressed discomfort regarding a transfer. 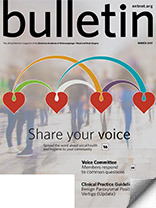 Further, such transfers fail to take into account the current status of the physician’s workload, including the potential of already being fully engaged in on-call care, as well as the availability of other necessary resources such as the operating room, intensive care, and consultants in other specialties. Additional concerns surfaced regarding the request for provision of care in areas outside our primary areas of practice (i.e., pediatrics for those who do not see children in their regular practice). Survey respondents noted that 75 percent do not have subspecialty ER call at their institutions, and that subspecialty call schedules exist primarily at large or academic centers. This results in general otolaryngologists being asked to cover specialty-level issues while subspecialists are required to cover general otolaryngology call problems, with both scenarios ending in a general level of discomfort. Overall, 30 percent of respondents do not take any trauma call, approximately 20 percent cover all the trauma at their institutions, and the rest share trauma call with other specialties, which typically include some combination of plastic surgery and/or oral and maxillofacial surgery. There were many comments regarding the multiple arrangements covering trauma. For those who do cover trauma, there was a high level of discomfort suggesting another area of significant Member concern. When queried regarding the amount of ER call required to provide, responses were fairly evenly split between those taking one to three days, four to seven days, and more than seven days per month. 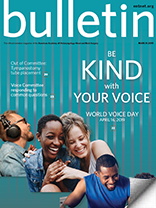 The impact of taking a week or more of call per month, particularly if not offset by compensation, seems increasingly detrimental to all practices, but especially true for those practicing in solo practice or small groups. 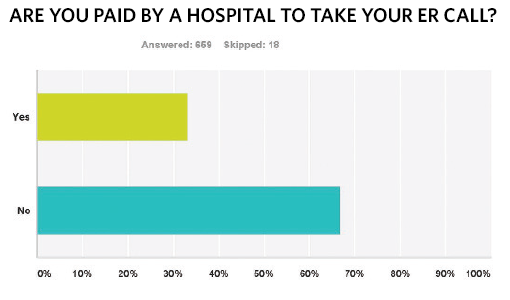 While a few respondents did not feel their care of indigent patients was a burden, the majority found it a significant problem, which is getting worse. The development of a third-party database or broader survey tool of ER call would provide valuable information to guide appropriate and cost-effective care for these patients. Ideally, information regarding on-call compensation and related requirements, including age, length of service, and number of call days required, would be beneficial. The development of an organized transfer system to facilitate appropriate and timely care with clear protocols for communication between the transferring and receiving institutions would ensure appropriate resources and skill sets are in place prior to transfer. This would ideally include physician-to-physician contact and involve all services likely to participate in care of the transferred patient. For example, verification that interventional radiology is available for a patient with a severe nosebleed that might require embolization in addition to ligation, as well as packing of the nasal cavity prior to transferring that patient. The development of guidelines and protocols for ER departments to follow for specific conditions to help distribute the workload across overlapping specialties and avoid disagreements regarding responsibility. For example, at some institutions, isolated orbital floor fractures without orbital rim or medial orbital wall components are handled by oculoplastic/orbital surgery. Otolaryngology is called only if there is medial wall or rim involvement. Similar protocols can be developed for other scenarios that reflect the skill sets and interests of the practitioners involved at any institution. Unfortunately, the conflict between provisions of EMTALA to accept transfers and the uneven distribution of otolaryngologists is a more difficult issue to address. In many outlying or smaller hospitals and more rural ERs, there are not enough otolaryngologists to provide 24/7 coverage of the ER. This means that patients are often transferred to institutions where physicians are mandated to provide call and accept transfers of care without compensation or consideration for optimal provision of care. This can impose a considerable burden on the accepting physicians and institutions. Ideally, regionally coordinated call that addresses medico-legal, workload, and financial components would make maximal and optimal use of resources that are becoming increasingly scarce. Thank you to those who participated in this latest BOG survey. It is our hope that discussion of issues such as these will lead to further dialog as we explore ongoing challenges and work together to develop potential solutions. Please continue to use the BOG as your grassroots voice of the Academy.